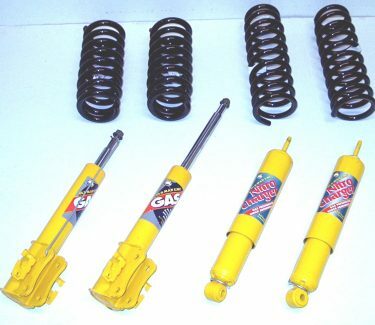 Trail Tough’s NEW 2 1/2″ lift kit for the 1989 to 1998 Suzuki Sidekick, Vitara, Geo Tracker and X90. This is our own private label compilation. This kit provides the best combination of components with the goal of offering that NEXT level of performance while remaining cost effective. We have chosen components that provide that “little extra” without cutting corners. 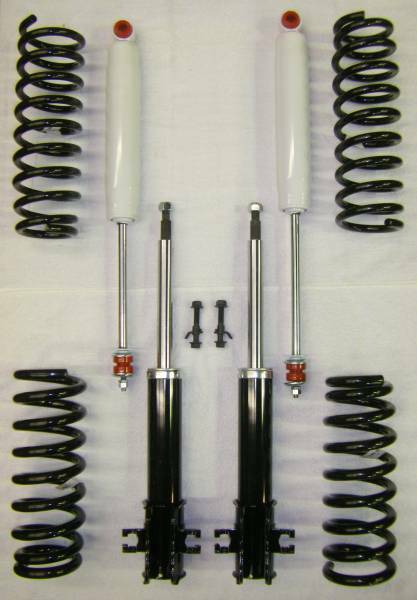 These top of the line struts and shocks provide more stroke – no spacers required. The springs provide more ride height – no spacers required. Camber bolts are included for proper camber adjustment. Bottom line, better articulation, better ride, better handling, better price! Note – This kit is universal and on the 2nd Generation Vitara and Geo Tracker this kit will provide 1.5″ of lift. Fits both 2 door and 4 door models.